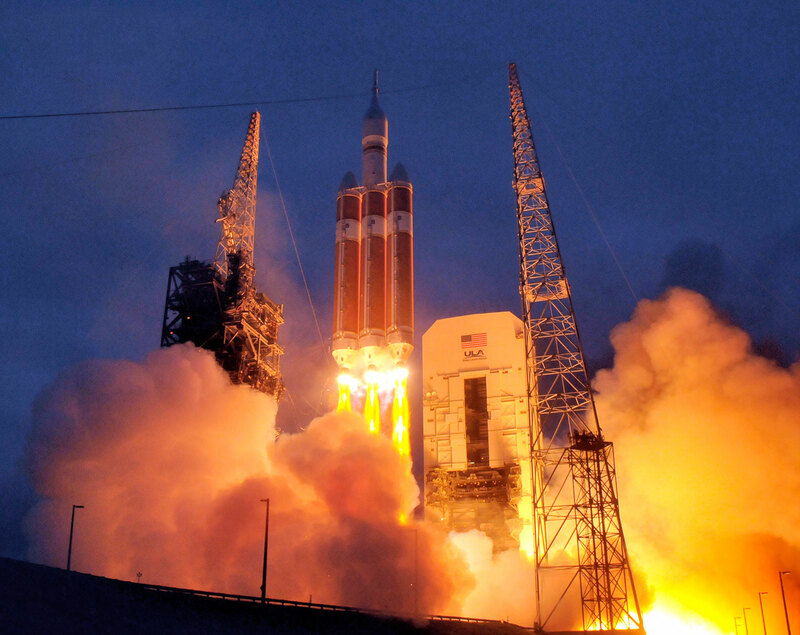 NASA marked a major milestone on its journey to Mars as the Orion spacecraft completed its first voyage to space on Dec. 5, 2014, traveling farther than any spacecraft designed for astronauts has been in more than 40 years. Orion blazed into the morning sky at 7:05 a.m. EST, lifting off from Space Launch Complex 37 at Cape Canaveral Air Force Station in Florida on a United Launch Alliance Delta IV Heavy rocket. The Orion crew module splashed down approximately 4.5 hours later in the Pacific Ocean, 600 miles southwest of San Diego. The only reported kink during the mission was the failure of all five airbags to fully inflate during splashdown, however, Orion remained afloat. During the uncrewed test, Orion traveled twice through the Van Allen belt, experiencing high periods of radiation, and reached an altitude of 3,600 miles above Earth. Orion also hit speeds of 20,000 mph and weathered temperatures approaching 4,000 degrees Fahrenheit as it entered Earth’s atmosphere. The spacecraft was tested in space to allow engineers to collect critical data from 12,000 onboard sensors to evaluate its performance and improve its design. The next spaceflight test of Orion will have the Space Launch System (SLS) rocket send Orion to a distant retrograde orbit around the Moon on Exploration Mission-1.